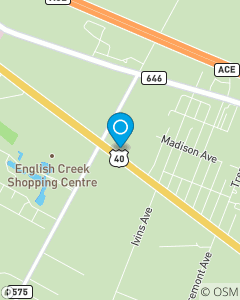 Conveniently located near the intersection with English Creek Avenue in Egg Harbor Twp, NJ. The mission of our office is to help policyholders manage the risks of everyday life and to be the first choice for all of your New Jersey insurance needs. We focus on Auto Insurance, Home, Insurance, and Renters Insurance through New Jersey, including; Egg Harbor Twp, Mays Landing, Somers Point, and Northfield.